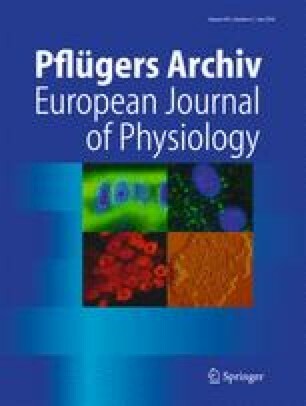 Elevated plasma levels of the hormone vasopressin have been implicated in the pathogenesis of some forms of hypertension. Hypothalamic paraventricular and supraoptic nuclei neurons regulate vasopressin secretion into the circulation. Vasopressin neuron activity is elevated by day 7 in the development of angiotensin II-dependent hypertension in Cyp1a1-Ren2 rats. While microglial activation and blood-brain barrier (BBB) breakdown contribute to the maintenance of well-established hypertension, it is not known whether these mechanisms contribute to the early onset of hypertension. Hence, we aimed to determine whether microglia are activated and/or the BBB is compromised during the onset of hypertension. Here, we used the Cyp1a1-Ren2 rat model of hypertension and showed that ionised calcium-binding adapter molecule 1 staining of microglia does not change in the paraventricular and supraoptic nuclei on day 7 (early onset) and day 28 (well established) of hypertension, compared to the normotensive control. Endothelial transferrin receptor staining, which stains endothelia and reflects blood vessel density, was also unchanged at day 7, but was reduced at day 28, suggesting that breakdown of the BBB begins between day 7 and day 28 in the development of hypertension. Hence, this study does not support the idea that microglial activation or BBB disruption contribute to the onset of angiotensin II-dependent hypertension in Cyp1a1-Ren2 rats, although BBB disruption might contribute to the progression from the early onset to well-established hypertension. Colin H. Brown and Daryl O. Schwenke contributed equally to this work. The authors are grateful to Prof John Mullins (University of Edinburgh) for the gift of Cyp1a1-Ren2 rats to find the colony used in this manuscript. AKK performed all experiments, analysed results, contributed to the interpretation of data and wrote the first draft of manuscript. CHB and DOS conceived, designed and supervised the study, interpreted data and wrote subsequent drafts of the manuscript. This work was supported by a Project Support Grant from the British Society for Neuroendocrinology and a University of Otago PhD Scholarship.